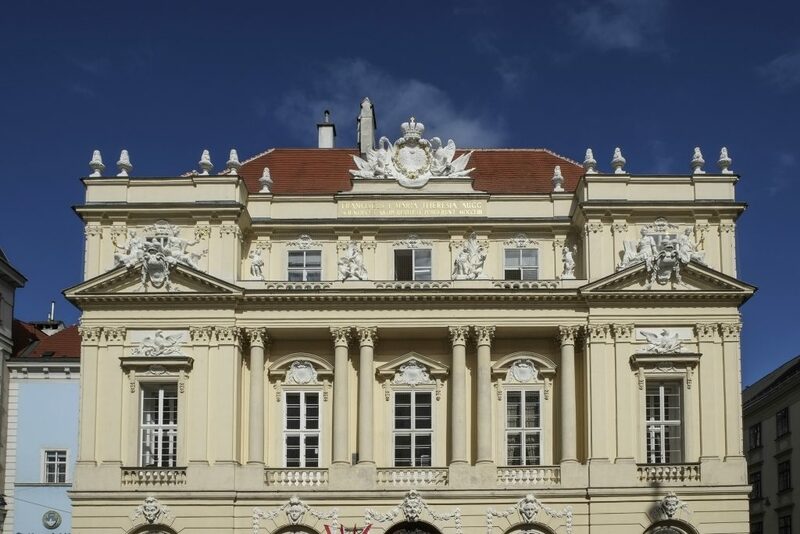 The 17th ALLEA General Assembly was held in the premises of the Austrian Academy of Sciences in Vienna on 18 and 19 April 2016. The annual meeting kicked off with a scientific symposium on “The Freedom of Scientific Research in the Face of Political and Societal Demands”, followed by the Award Ceremony for the All European Madame de Staël Prize for Cultural Values . Both these events were open to the public and received positive feedback from the audience. On 19 April, the delegations of the ALLEA member academies reconvened for ALLEA’s annual internal business meeting. The topic of the symposium „The Freedom of Scientific Research in the Face of Political and Societal Demands” suggests a juxtaposition of scientific, political and societal spheres, which might be considered tense or even conflictual. However, increasing interest in deepened exchange offers enormous potential for all three sectors. Thus it is not surprising that initiatives and concepts aiming at a greater interaction are currently on the rise: Science with and for Society as one of the mainstays of Horizon 2020, the European Commission’s Scientific Advice Mechanism (SAM) to strengthen evidence-based policy making, strategies to establish Open Science and Open Innovation as well as Open Access initiatives all attest to these ever more urgent attempts to encourage interaction between the scientific, political and societal spheres. Yet, trying to influence the direction and the results of this exchange might fundamentally risk the autonomy of science and research, and with it, the key source of its credibility. This symposium aims to discuss these interactions, their risks and opportunities, from a scientific perspectiveand to contribute to advance the discourse on the European level. Symposium speakers included ERC President Jean-Pierre Bourguignon, physicist Sir Peter Knight, until 2010 chair of the Defense Scientific Advisory Council at the UK Ministry of Defence, as well as the former President of the Austrian Supreme Court of Justice, Professor Irmgard Griss, and former German State Minister for Culture and Media, Professor Julian Nida-Rümelin. At the annual business meeting on 19 April, the member academies of ALLEA confirmed all re-nominated current Board members in office and elected two new members for the next term (2016-18). With the election, the ALLEA Board for the next two years includes members from Austria, Belgium, Bulgaria, Finland, Germany, Italy, Israel, Netherlands, Slovakia, Switzerland and the United Kingdom. In addition to the Board elections, the ALLEA delegates voted to welcome two new full ALLEA members, the Royal Norwegian Society of Sciences and Letters and the Learned Society of Wales..
Delegates heard reports from the ALLEA Presidency and from chairs and representatives of ALLEA working groups. A focus of the meeting laid on ALLEA’s involvement in the European Commission’s Scientific Advice Mechanism (SAM) which was discussed in detail. Delegates presented and deliberated on topics currently addressed by their academies across Europe which could well be further elaborated at the European level as a contribution to the science policy advice which academies provide via their European networks.